13 May 2016. $45 Camp Oven deal; Quarantine Facts Update for Travellers; Voting tips for travellers; Are your power leads legal? 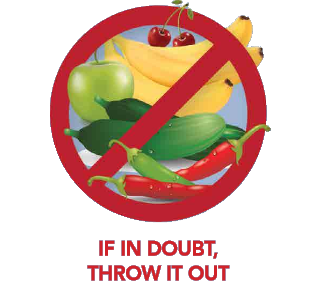 7 good reasons to become a Member; Waste Disposal - who's responsible? This newsletter is jammed full of interesting tips and news. We've also added a new FAQ section to the Contact Us page on the website so if you need help - that's the first place to go. Please remember, if you need to change the email address for receiving this newsletter you can do so in your profile (see FAQ if you need assistance). Meanwhile, news from the development team is that our new app - ExplorOz Traveller is getting closer to finalisation. It's been a week of bug testing, which is always challenging and frustrating but very necessary. This has been a huge project but as we have full control of the app we can work quickly and are planning to have it released ready for ExplorOz'ers to enjoy this season. This week we hope to start finalising some documentation in readiness for the much anticipated launch. Stay tuned for that! Everyone knows that campfire cooking with a camp oven is the holy grail. If you've not yet got one of these amazing cookers - then now is your chance to get one at a bargain price. Cast iron camp ovens make the best tasting meals. This is because they take time to heat up slowly and hold heat extremely well, making it easy to cook with predictability and achieve perfect results. Roasts, casseroles, stews and curries all taste so much better when they are slow cooked and the cast iron oven does this the best. 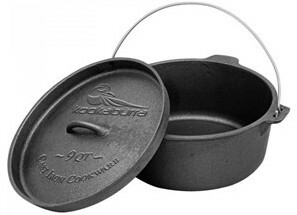 Cast iron camp ovens are generally around $100 but this week you can buy one from ExplorOz for only $45. Get your orders in now for this Cast Iron Camp Oven available this week only for just $45. 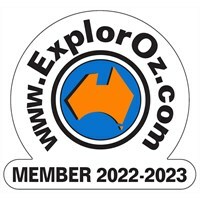 Available only by pre-order from the ExplorOz online shop. Deliveries commence 25th May. WHO'S RESPONSIBLE FOR WASTE DISPOSAL? We've all seen it - overflowing bins. Do you add to the pile of rubbish grumbling that it's someone else's fault for not coordinating more frequent collections? Or do you accept that there are issues in regional and outback Australia and take responsibility for your own waste by keeping it with you until a suitable disposal point is found? For more tips see our Travel Etiquette article. Many people are unaware of quarantine restrictions and the use of checkpoints within each state and at the borders. This often results in costly wastage but remote area 4WD travellers also need to be aware that they can be fined up to $100,000 for carrying restricted items into regulated areas. This new article is a full update and refresh of the latest information available from Quarantine Domestic and will help you avoid wastage and fines, plus you'll gain a better appreciation of the importance of protecting Australia's valuable agricultural industry against the spread of pests, diseases and weeds. A must read for all travellers! The Federal Election has been called for 2nd July so for many travellers it's time to make some plans about how you're going to meet your legal requirements to lodge your vote. Here's a couple of useful tips and dates to help you make the right plan. Monday 23rd May (8pm) is the deadline for ensuring that you are enrolled to vote. If you have changed address, then you must ensure that your change of address has been registered in your enrolment. Enrolments and updates can be done online - this link will take you to the Enrol to Vote form found on the Australian Electoral Commission website. If you are likely to be more than 8km away from a polling booth on 2nd July you can vote before election day. Early voting centres will be announced soon, so look out for these announcements in mainstream media or keep an eye on the the Ways to Vote page on the Australian Electoral Commission website in the coming weeks. Another option is to lodge your vote by post however you will need to apply first. The application can be done online at the Apply for a Postal Vote page on the Australian Electoral Commission website, or you can pick up an application from an Australian Post office. They will then post out a voting pack to you, however the earliest they can do this is 14 June 2016. If you do not apply as soon as possible, you may have to choose an alternative way to vote. There is also a method to upload a scanned copy of your completed postal vote form to the AEC website - here is the link. Note Ballot papers must be completed and posted back to the AEC on or before election day. You only have 13 days after the election for your ballot papers to be received by the AEC. If you will be interstate on election day you can cast an "interstate vote" by visiting an Interstate Voting Centre (the list of locations is not currently published by keep an eye on the AEC website as these will be listed). The process is usually easier if you can quote the name of your electorate, or confirm your enrolment details accurately. We suggest you refer to the AEC website where you can check your enrolment online. See the Check Enrolment form. Alternatively, you can call 13 23 26 during business hours 9am to 5pm Monday to Friday and they will check it over the phone for you. ARE YOUR POWER LEADS LEGAL? Many caravanners, DIY'ers and tradesmen find themselves in a quandary when needing to use power to run 15 amp devices in circumstances where only a 10 amp supply outlet is available. Don't fall into the trap of making your own 'cheater cables' (ie. that have a 10 amp plug and a 15 amp socket). Doing this is illegal and potentially dangerous. But there is a solution - the Ampfibian 15A - 10A Adaptor. 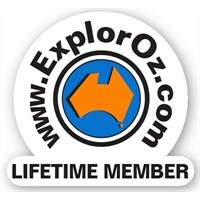 Now is the ideal time to purchase an Ampfibian from ExplorOz with discounts of up to $20 currently in place until 16th May. Offer includes a free Carry Bag. For more information see Facts & Regulations of Using Power Leads. Our core services to the public are designed for Members-Only, so whilst you can freely use sections of the website and obtain useful and valuable content as a registered site Visitor, we have reserved the best for those that purchase a subscription and become "Members".